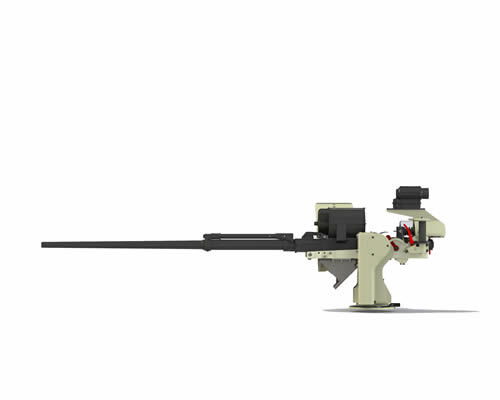 The AE20-VM2 is a lightweight all Aluminium vehicle weapon mount for the 20 mm HS804 gun. 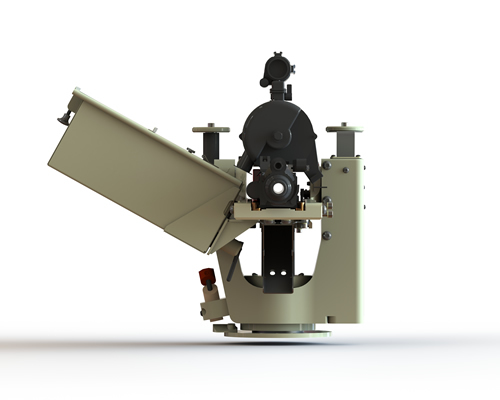 The mount accepts AEI’s RH & LH drum belt feed mechanisms and flexi-chute for prolonged target engagements. 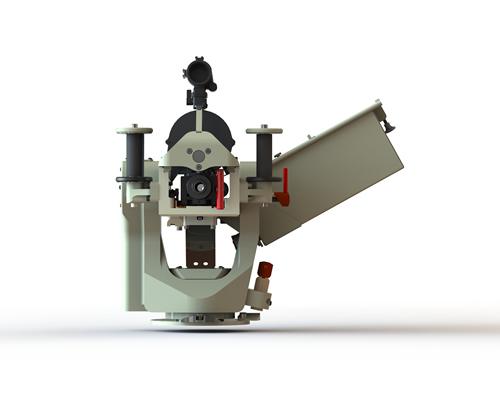 The mount also accepts AEI’s lower profile ‘flat’ belt feed mechanism and can simply revert to receive AEI’s linkless feed drum magazine associated with the AE20-NM naval mount. 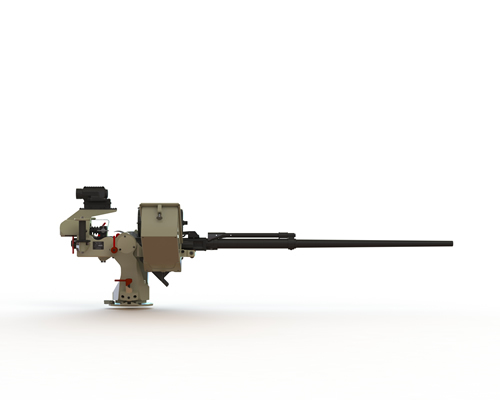 The cradle is spring loaded to assist the operator engage elevated targets and balance the gun horizontally whilst vehicle trundling. The weapon mount can be readily fitted to the vehicle slewing ring, roof, bulkhead or pedestal. The ammunition feed tank can be mounted to suit individual vehicle installations and linked to the mount with AEI’s flexi-chute. 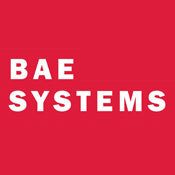 This rugged combination is backed by fast and efficient worldwide spares support from the substantial stocks held at AEI. 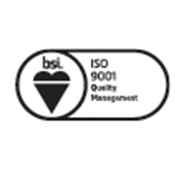 A continuous development and production programme ensures product quality in accordance with AEI’s ISO 9001:2008 quality approval. AEI offers customers full in country/on ship installation, servicing and personnel training. 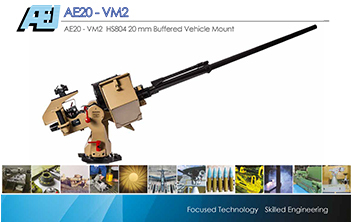 Customers can also send their AE20 VM mounts and HS804 Cannon to AEI’s Ascot facility in the UK for repair/refurbishment.